Throughout the world, India is the name for its diversity and culture. Especially, some Indian cities are worthy places to experience the vibrant shades of India through many touristic attractions. The colorful attractions of the cities make your trip more colorful with unforgettable moments. Yes, you will definitely enjoy the most memorable days in these cities. Here are the top colorful cities of India to visit at least once in your life. Jaipur, the Pink City of India is a well-known place for innumerable historical attractions. Many historical forts, palaces, museums, monuments, etc a lot teaches about India’s glorious history. 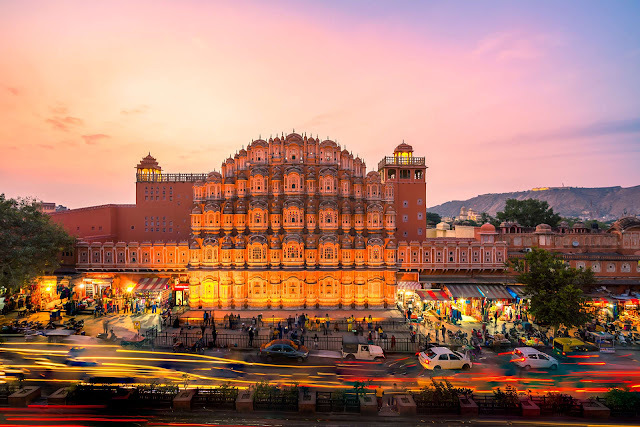 Jaipur is the right place to experience the wonderful and unique architectural styles which were can’t be seen anywhere. The streets in pink hue with bustling shopping markets and food centers, seem to be very colorful and attractive. For foodies, shopaholics, history buffers, Jaipur is a lovely destination. The true sense of colorful attractions can be justified at this place. Valley of Flowers in Uttarakhand is a mind-blowing picturesque place with a number of varied flower plants. Here you can see many rare and valuable flowers which were bloom only once or thrice in a year. 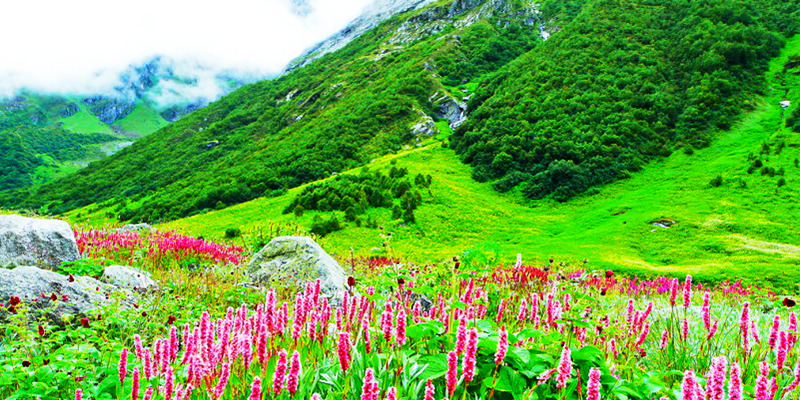 The Valley of Flowers settled amid greenery and high peak mountains are just jaw-dropping and undefinable in words. Such a pretty and beautiful place in India it is. 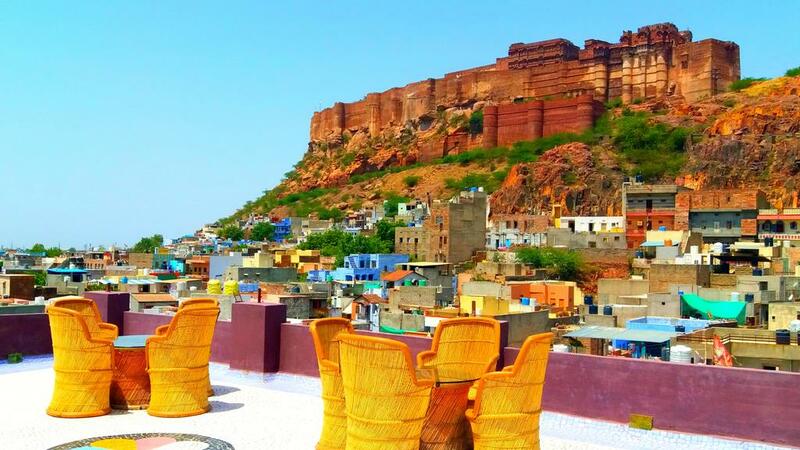 The Blue City of India, Jodhpur is another famous historical sight to travel in Rajasthan, India. The old city of Jodhpur completely brights in a blue aura. The view from the Mehrangarh Fort is just awe-inspiring with dotted blue homes depicting the city’s uniqueness. Leisure walks through the blue houses will be very interesting and also some architectural attractions at centers of streets grabs everyone attention. Jodhpur is also a great place for shopping and some iconic architectural attractions of the city also the best things to visit like Mehrangarh Fort, Jaswanth Thada, etc. 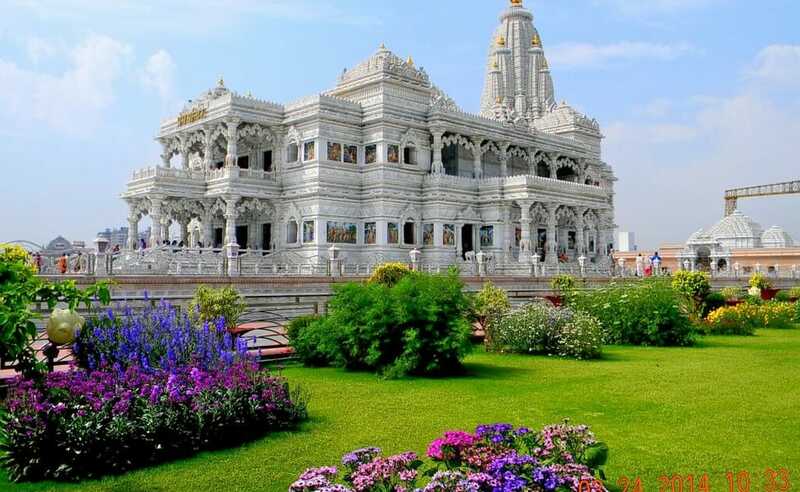 Vrindhavan, the birthplace of Lord Krishna is a fantastic place in India to enjoy true happiness and wealth with a spiritual touch. This place was completely filled with an uncountable number of temples. You feel very comfortable and happy when you visit this place because the environment of the place creates a serene feeling. What made this place a colorful city in India means its Holi Celebrations. In this city, every year Holi celebrations will beat the sky with colorful celebrations. Visiting Vrindhavan during Holi is a must-do thing to be a part of the celebrations. The “City Lakes of India” and “Venice of the East”, Udaipur is a serene and fantastic tourist spot in India. The city was also named as the “White City”. Because many marble constructions around and on the Lake Pichola made the city known as White City. For natural and historical attractions, there is no dearth in Udaipur. It is the most recommended tourist place in India for all type of tourists. So plan your trip to India, Udaipur. Lake Pichola’s attractions and many historical attractions such as City Palace, Saheliyon Ki Bari, Monsoon Palace, attracts everyone towards them. Chandigarh is an iconic place for many cities in India to conserve greenery. The Green City, Chandigarh is a well-known city for its green conservation techniques. Most of the city was planted with 22 different species of evergreen trees. The main reason for this greenery revolution in the city is French architect Le Corbusier. He designed the city with more plantations of trees. That’s why the city was dotted with a number of different trees. Simply, if you see the city from a certain height it looks in complete green. 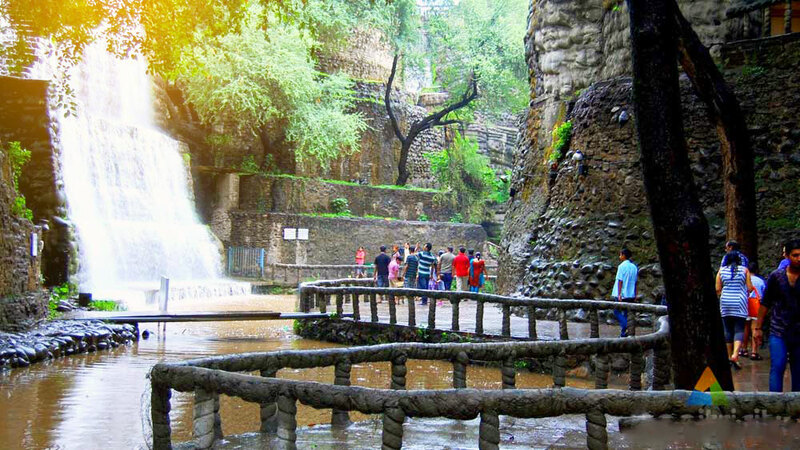 And Rock garden, Rose garden, and Sukhna Lake are some tourist interest places in Chandigarh.